Sciencewise was set up to deepen the dialogue between scientists, policy makers and the public about new and emerging technology. The National Co-ordinating Centre for Public Engagement (NCCPE) is a partner in the delivery of the UK government’s Sciencewise programme. Sciencewise was set up to deepen the dialogue between scientists, policy makers and the public about new and emerging technology. The programme brings together scientists, policy makers and the public to explore the opportunities and risks presented by technological advances. This two-way dialogue provides policy makers with a deeper understanding of the public’s views as part of the policy development process. The NCCPE is working with the Sciencewise team to design and deliver two workshops for senior researchers and policy officials, exploring areas of emerging science and technology and their implications for public engagement. We ran the first of these in September 2017, exploring Big Data. The NCCPE excited to be working with Sciencewise as it is helping policy makers to engage the public more effectively on the policy issues relating to new and emerging technology. This includes how the public views opportunities and risks, including how these benefits might be realised and risk might be mitigated. This open, frank discussion forms part of the evidence policy maker’s use in developing the UK’s approach towards a new and emerging technology. The intersection between public and policy engagement is of critical importance. In 2016 the NCCPE made two submissions of evidence to the House of Commons Science and Technology Inquiry into Science Communication. "The Government has the primary responsibility for fostering and facilitating science engagement in its policy-making. It should maintain and strengthen national programmes such as Sciencewise and the National Co-ordinating Centre for Public Engagement. Their programmes should be routinely used across all government departments, so that public opinion is fully captured in developing government policy where science is involved." Sciencewise is funded by the Department for Business, Energy and Industrial Strategy. If you are interested in finding out more, please contact lisa.adlington@uwe.ac.uk. Developing innovation and collective impact in public engagement within genome editing. Written evidence submitted by the NCCPE to the inquiry into how government, scientists, the media and others encourage and facilitate public awareness of – and engagement in – science. Report of a 2018 roundtable to explore future public engagement priorities. 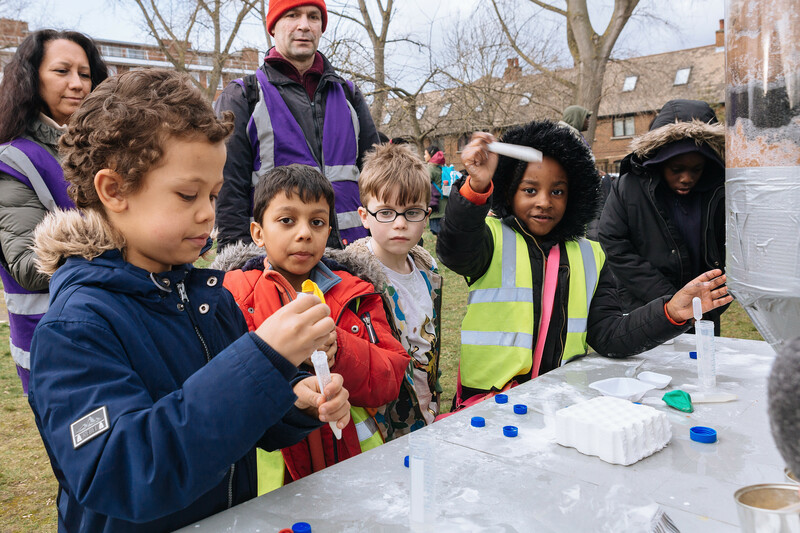 Examples of successful public engagement: additional evidence submitted to the House of Commons Science and Technology Committee.